If you want to write a book, begin by reading a million. So if you want to write a cozy mystery, go and read some! I am (wanting to write one & reading one). You may not have figured out yet that this is a mystery, but I think you have guessed it is cosy. The book is part of my summer curriculum, one of the very pleasant steps on my route to pick up the various tricks of the cozy mystery trade. 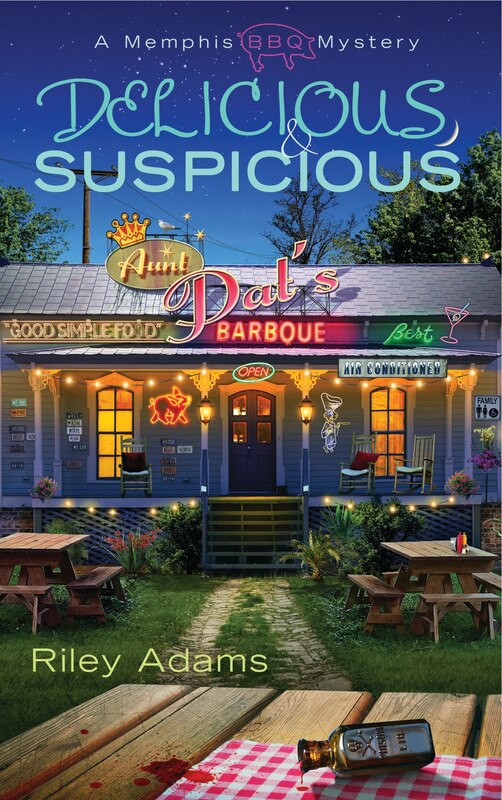 Tomorrow´s post: a full review of the book in question, “Delicious and Suspicious”, written by Riley Adams (i.e. my blog friend Elizabeth Spann Craig who knows everything about cozy mysteries and is happy to share her expertise with the readers of her blog). This entry was posted in cozy mystery, Elizabeth Spann Craig, quotation. Bookmark the permalink.